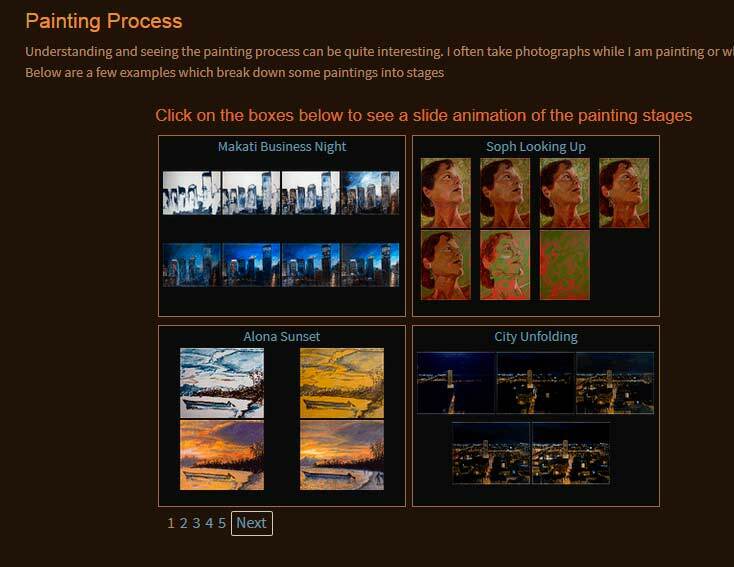 Included in my website is a section where I include animated slide illustrations of my painting process. I always try to take photographs as I advance in the painting. There are currently 17 sets of animated slides. I will add more as new ones are made and as I retrieve older ones from my photograph archives.